Implementing image processing tools demands its components produce better results in critical applications like medical image classification. TensorFlow is one open source with a machine learning framework for high performance and operates in heterogeneous environments. It heralds broad attention at a fine tuning of parameters for obtaining the final models, to obtain better performance. The main aim of this article is to prove the appropriate steps for the classification techniques for diagnosing the diseases with better accuracy. The proposed convolutional network is comprised of three convolutional layers, preceded by average pooling with a size equal to the size of the final feature maps. The final layer in this network has two outputs, corresponding to the number of classes considered to be either normal or abnormal. To train and evaluate such networks like the Deep Convolutional Neural Network (DCNN), a dataset of 2000 x-ray images of lungs was used and a comparative analysis between the proposed DCNN against previous methods is also made. Medical Image classification is one of the important tasks in many medical imaging applications. This paper proposed a Deep Convolutional Neural Networks (DCNN) to classify lung X-ray images. Diagnosing the primary stage of tuberculosis from the chest X-ray needs appropriate clinical setting, computed tomography scanning and diagnosing can perform better only in progressive or post primary tuberculosis. In recent years, there are many complicated feature descriptors have been proposed for diagnosing diseases. 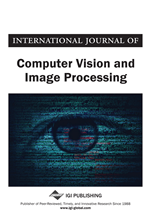 In this work a customized DCNN framework is proposed that can learn the essential features of an image efficiently from the input lung images that are most appropriate for the classification function. The same framework can be utilized by generalizing it to carry out various other image classification tasks. This type of designed tools act as an interface for expressing many machine learning algorithms, and for implementing and executing such algorithms. The main objective of this paper is to fine tune the parameters of the classifier function by changing activation functions, estimators, and the architecture. Here, we fine-tune the parameters to improve the performance by obtaining the better classification accuracy rate. X-Rays images of the chest (CXRs) are broadly used in identifying the abnormalities in the chest area. Automatic detecting techniques are used in most of the diagnosing processes, to improve the accuracy rate of abnormality detection (Islam et al., 2017). Medical image classification system is an important subject in the field of biotechnology. Here, we train the network with a large amount of computation and to obtain high accuracy rate (Krizhevskyl, 2017). In this paper, we use various image classification techniques to classify the abnormality in lung X-ray. The main objective of this work is to prove the range for error loss and accuracy in the model generated by such tools with various classification methodologies to detect tuberculosis in the chest images with maximum accuracy. The proposed framework consists of four parts. They are: (1) varying estimators; (2) varying activation functions; (3) varying architecture; and (4) Classification of medical images. The main purpose is to identify the appropriate modalities and immodalities in the dataset by implementing various estimators with varying activation functions and hidden layer architecture. As a result, it shows the appropriate classification techniques with improved performance based on increased accuracy rate, the value of sensitivity, and the possibility of diagnosis using an automatic system. The automatic identification and classification of immodalities from the given input image dataset are highly desired in the area of image processing. We identify the best classification method for diseases identification based on Deep convolution neural networks (DCNNs) techniques. Using a dataset of 2000 natural images of diseased and healthy normal images, DCNNs are trained to predict two classes either diseased or not. DCNN applications are used in various industries. It is mainly applied in solving many real-world problems such as analyzing images, intelligent chatbots, robotics, generating of data, natural language processing etc. MANY Commercial industries irrespective of their types and sizes utilizes the use cases of DCNN in their organization which includes Image recognition, Speech recognition, Object tagging videos, Sentiment analysis, Detection of flaws, Self-driving cars, Text summarization and Mobile image and video processing. TensorFlow software library are extensively used in some of the biggest companies such as NASA, Airbnb, Airbus, Uber, SAP, IBM. There are some applications such as Dropbox, Snapchat, CEVA, and Twitter (Carneiro et al., 2017) using TensorFlow. These tools are available as either public or proprietary not only familiar in commercial organizations but also in academic communities.